Defunct site, Google image dated when station existed. Believed US Embassy associated, station operated briefly through 2002 when the site was turned into housing. UHI, likely strong local, distance, in Belfast area. Google image dated 2001, station closed 2002. This implies very strong UHI, probably from car park, road, building. Can anyone unearth more information such as photos? 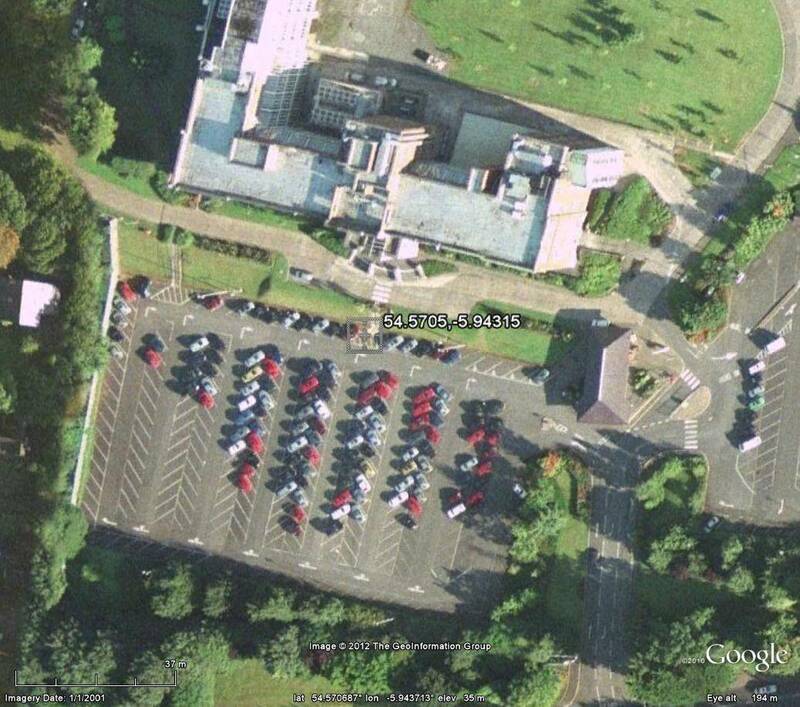 I reckon it’s reasonable to assume that it is on the US Consulate General (shared with Ulster bank and NI electricity) building as the whole area around it has been built on in the last decade, Highest point on the building is the middle of the south wing, but there also appears to a mast at the Northern end of the West wing. Both spots can be seen in street view but only from a distance. I suspect all Belfast weather stations will show a high UHI, it’s a flourishing city where a lot of transformation has taken place.